水滸伝 (Water Margin). Yoshikawa Kojiro and Shimizu Shigeru (translators). Iwanami Shoten. 1998-10-16. ↑ Yenna Wu, "Full-Length Vernacular Fiction," in Victor Mair, (ed. 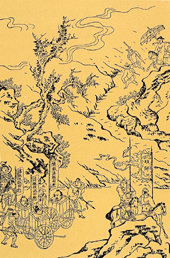 ), The Columbia History of Chinese Literature (NY: Columbia University Press, 2001), pp. 627-629. หน้านี้แก้ไขล่าสุดเมื่อวันที่ 29 มีนาคม 2562 เวลา 20:32 น.